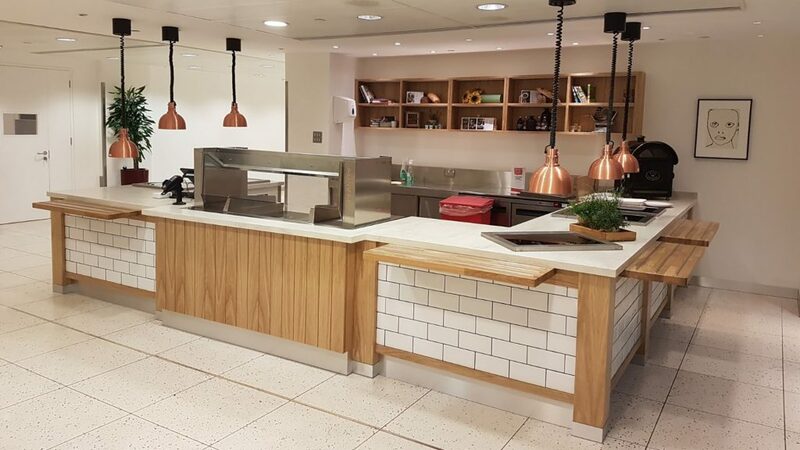 Simmons & Simmons are a world-class law firm, located in the iconic City Point Building in 1 Ropemaker Street, London, EC2. 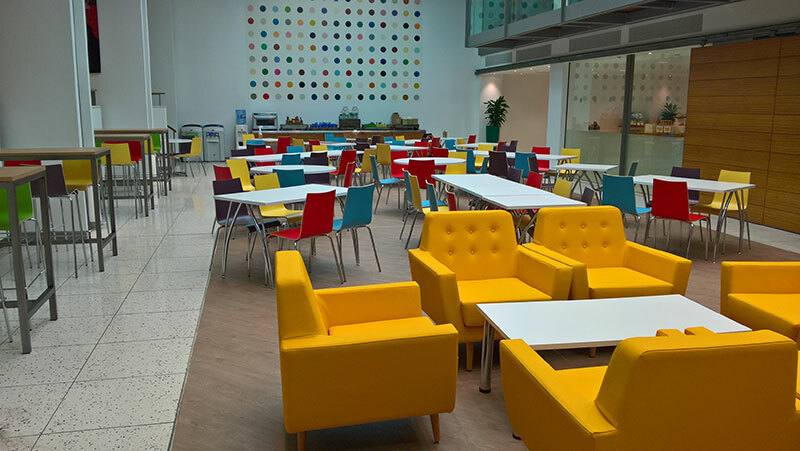 The facility is located in the basement of the building that Simmons & Simmons occupy, it’s split over two levels, with the library overlooking the main seating area. 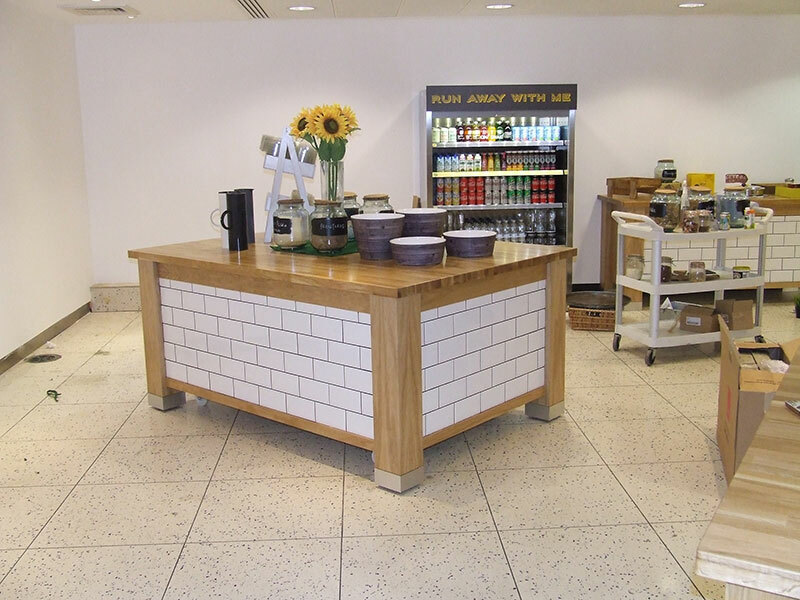 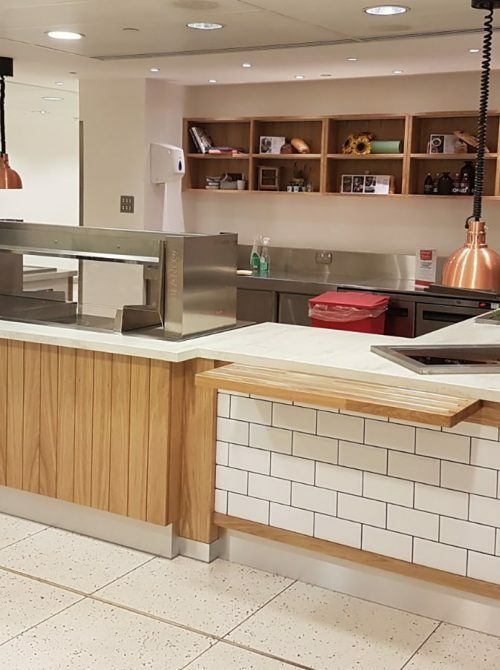 The first challenge on this project was to remove the existing servery counters and flooring, Ceba then faced the decommissioning of the existing extraction canopy. 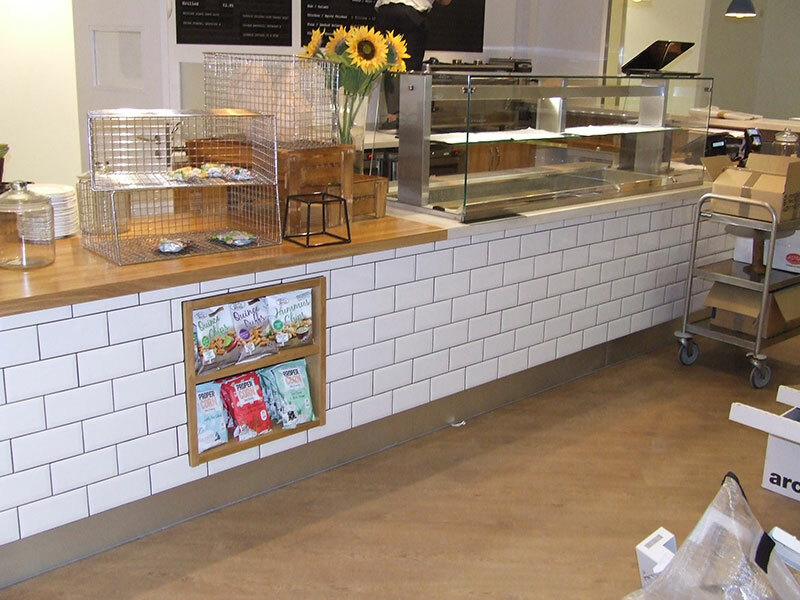 Our final challenge was to ensure the new design matched the existing artwork on the walls.